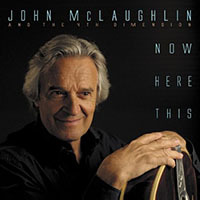 Iconic guitar virtuoso John McLaughlin has released his most consistently engaging disc in years. What makes it so? Well, his band is the same kind of highly skilled fusion unit as on many McLaughlin datesnothing new there. The main difference seems to be a renewed commitment to the art of songwriting. Much more care has been invested in these pieces and it shows. 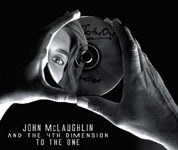 McLaughlin has always created thick jazz-funk grooves to improvise over; now, those grooves have real, singable melodies. This transforms them from mere jams into memorable songs. 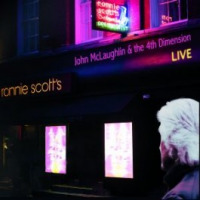 McLaughlin himself attributes the music on this disc to two sources: first, a re-examination of the classic John Coltrane session A Love Supreme (Impulse!, 1964); and second, his own spiritual journey. Whatever the inspiration, the music on this recording sounds both fresh and familiar. 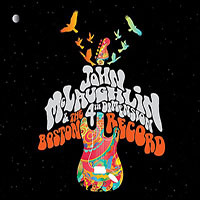 McLaughlin's chops have never been betternow, when he launches into one of his trademark machine-gun like solos it's all the more effective, because it seems part of a real song. From the opener, "Discovery," McLaughlin is all over it. His rapid-fire lines and wicked vibrato indicate that something special is happening. After a typically manic guitar solo, Gary Husband's Fender Rhodes is unhurried and tasteful. A short, powerful exchange with drummer Mark Mondesir is followed by a smart, fluid solo from Cameroonian bassist Trinacria, concluding with a furious improvised cadenza and more dialogue with the drums. McLaughlin's multiple chorus units, distortion devices and wide vibrato drive the waltz, "Special Beings," which also features a fine Husband piano solo. "The Fine Line" is vintage McLaughlin funk, with a dirty guitar tone shaping a devilish riff. 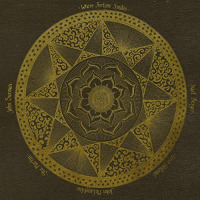 The drums are an almost equal component of the melody, and Mondesir shares the spotlight to good effect. Again, the ending of the piece seems to bring out the competitive demon in McLaughlin, as he often appears to be trying to squeeze in a bunch of ideas that just came to him. "Lost And Found" is kind of a power ballad, with its insistent snare drum backbeat and silky fretless bass line forming a cushion for McLaughlin's guitar synth melody. "Recovery" is an up-tempo bash, with fine, precise ensemble work on its tricky theme. 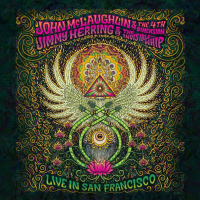 McLaughlin's guitar synthesizer returns for the title track, "To The One," a truly memorable McLaughlin piece that also features a swirling guitar arpeggio right out of "Lila's Dance" from Visions Of The Emerald Beyond (Columbia, 1974). Track Listing: Discovery; Special Beings; The Fine Line; Lost and Found; Recovery; To the One. 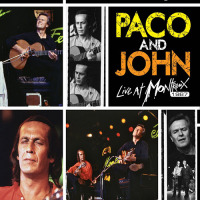 Personnel: John McLaughlin: guitar (1-3, 5), guitar synthesizer (4, 6); Gary Husband: keyboards, drums (5, 6), additional drums (1, 3), additional percussion (1); Etienne M'Bappé: bass guitar; Mark Mondesir: drums (1-4), additional percussion (5).